To Catch a Yeti – New RiffTrax VOD! There are some things you just can’t unsee. And Meat Loaf and a animatronic baby yeti hanging out is one of those things. Forget wondering who greenlighted this, because all you should be wondering is how quickly you can get away before your eyes spontaneously explode and then you get put on a terrorist watch list despite the fact you now have no eyes and can’t even watch lists. But at least you won’t be able to watch Meat Loaf and a mechanical yeti. However, if you are one of the few brave souls who have built up a resistance to eye-explodingly bad movies and mechanical bigfeet and bigmeat palling around, then you should watch the new RiffTrax VOD To Catch a Yeti, but only with the powers of Mike, Kevin, and Bill backing you up. The rest of you, run like a bat out of hell, and also something something do anything for love, but I won’t do that something something. 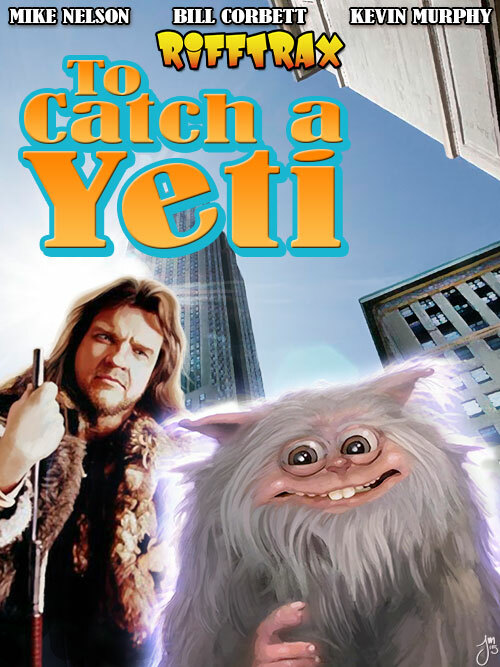 Buy To Catch a Yeti today on RiffTrax.com! Against all notions of reason and good taste, a little girl is charmed by the creature and makes him her friend. But there’s also an evil little rich boy (who somehow manages to be even more detestable than the yeti and ‘Loaf COMBINED) who wants the hideous goggle-eyed creature for himself. It all leads to a thrilling hijinks-filled showdown in New York City…or at least, the best fake approximation of New York City to be found in a production so Canadian your screen will ooze maple syrup. Maple syrup, Meat Loaf, a horrific puppet, and more things you’ll never want to eat again after To Catch a Yeti! Upcoming SyFy fun – Tasmanian Devils, Abominable Snowman, and Battledogs! 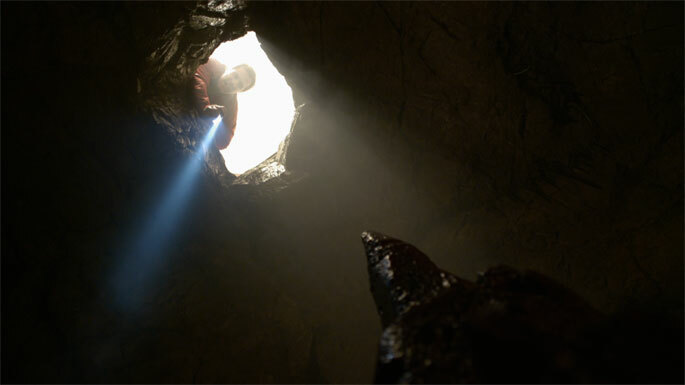 SyFy is continuing to bring us the best in monster mayhem in 2013! First up is Tasmanian Devils on January 19, featuring Dancia McKellar (Winnie!) and Apolo Ohno as basejumpers who battle giant killer Tasmanian devils! Zach Lipovsky directs. The trailer is the one embedded below. January 26 gives us Abominable Snowman, starring Ardian Paul and Chuck Campbell. Not much info about the film is out there, except that it used to be called Deadly Descent: The Legend of the Abominable Snowman and has been sitting around since 2011. This must mean quality, quality, quality. I hope the Abominable Snowman rips dudes in half. That’s what I want in a good yeti movie. Finally, SyFy’s twitter feed mentioned another 2013 flick – Battledogs! From what I could figure out, Battledogs is a retitle of a film called Wards Island, starring Dennis Haysbert, Craig Scheffer, Ariana Richards, Kate Vernon, Ernie Hudson and Wes Studi! No word on how the dogs will be battling, but hopefully it involves dogs ripping people in half. This isn’t the end of the SyFy 2013 features…this is only the beginning!